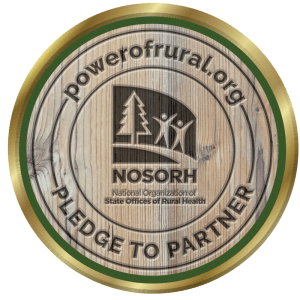 Power of Rural – Join the Movement. Take the pledge to partner today! IT’S NOT JUST A DAY, IT’S A MOVEMENT! HELP US GROW THE POWER OF RURAL ACROSS AMERICA. TAKE THE PLEDGE TO PARTNER TODAY! Have taken the pledge to partner with us! Thank You for Partnering with Us To Celebrate NRHD! Thank you to everyone who helped shine a spotlight on those making a difference in rural health by nominating an outstanding Community Star!